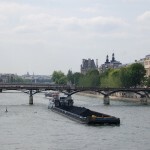 Geographically extended, the 17th arrondissement of Paris can be divided into 3 main neighbourhoods : Ternes, la Plaine Monceau and les Batignolles. 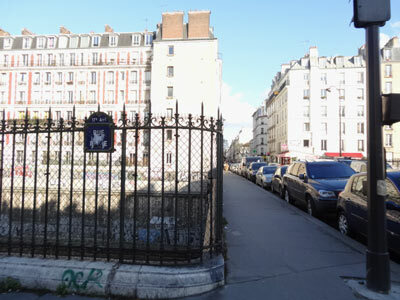 The walk below crosses la Plaine Monceau and the Batignolles. 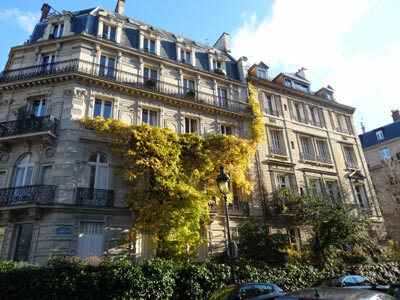 In the first part, you will discover wonderful town houses (La Plaine Monceau has indeed the greatest amount of mansions in Paris) while the second one will bring you to the pleasant Batignolles district and its village atmosphere. The walk starts métro Courcelles (line 2). You are in the heart of Monceau. This name comes from a linguistic distortion of “Mont-Chauve” (Bald-Hill). 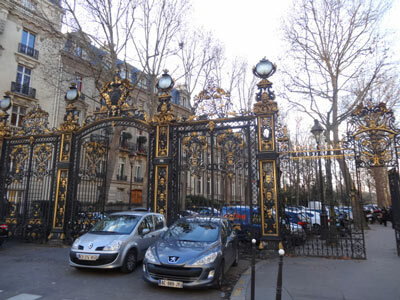 From the 19th century, Pereire Brothers (businessmen, bankers and politicians) transformed this area into a favourite spot of Paris almost solely made of mansions. At this time, having a sumptuous residence at the Plaine Monceau was synonymous with success and fortune. 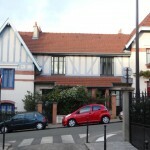 Take boulevard de Courcelles, and go to the number 73 of the street. Turn left onto rue Pierre le Grand.In front of you is the beautiful Orthodox Church Saint-Alexandre-Nevsky, built in the 19th century. 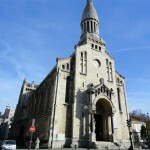 Go to the church then turn left (facing the church) on rue Daru. Turn right rue de Courcelles, then take on your left rue Alfred de Vigny. At the n° 8 is a amazing town house, housing today the Conservatoire International de Musique de Paris (International Conservatory of paris). Go back rue de Courcelles and keep strolling it. At the n°48 of rue de Courcellesis one of the most out of the ordinary building of Paris : La Maison Loo. This pagoda had been built by a rich Chinese art trader, Ching Tsai Loo, in 1880. Take then rue Rembrandt and go straight ahead. Don’t rush and really take your time to enjoy the peaceful atmosphere of the street, and the magnificence of the buildings… At the end of the street is the Monceau Park, a very pleasant public garden. Enter. 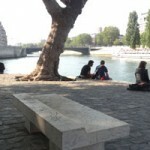 After your visit of the park, go out and take avenue Vélasquez, at the east side of the garden. 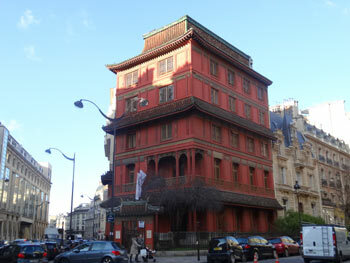 Here is, amongst other things, Cernuschi Museum, dedicated to asiatic arts (the second one in Paris with Guimet Museum). When you are boulevard Malesherbes, turn left and go straight ahead until place du Général Catroux. Notice at the n° 1 of the place the wonderful Hôtel Gaillard. Built between 1878 and 1884 and inspired by the château de Blois (castle of the vallée de la Loire), this mansion is one of the most amazing of the Plaine Monceau. Take then rue Legendre. Rue Legendre is the “border” between Plaine Monceau and Batignolles. When you are rue de Lévis, take it and enjoy this shopping street full of stalls of all kinds. At the level of rue des Dames, turn left. Do not miss the passage Geffroy-Didelot at the n° 108. Rue de Saussure, turn left and go straight as far as rue Legendre. Rue de Saussure is typical of this part of the Batignolles. Have a special glance at the buildings at the n° 7, 8, 9, 20 and 22 of this street. When you get rue Legendre, turn right and go ahead. After passing the bridge, continue ahead until rue Boursault and turn left. In front of you is the Square des Batignolles, beautiful English-style public garden. Enjoy the garden and go then rue des Batignolles, another main shopping street of the district. At the end of it, you are not so far from Place de Clichy. End of the walk. You can continue your discovering of Paris with a stroll in Montmartre beginning from Place de Clichy, or going towards the 9th arrondissement and visit the wonderful district of the Nouvelle-Athènes. Walk in the 17th arrondissement. Departure Métro : Courcelles (L 2) as far as Place de Clichy (L 2 & 13).